The new method of applying self-binding and piping taught in this class takes the pain out of the placemat! Whip them up in the afternoon, just in time for dinner. 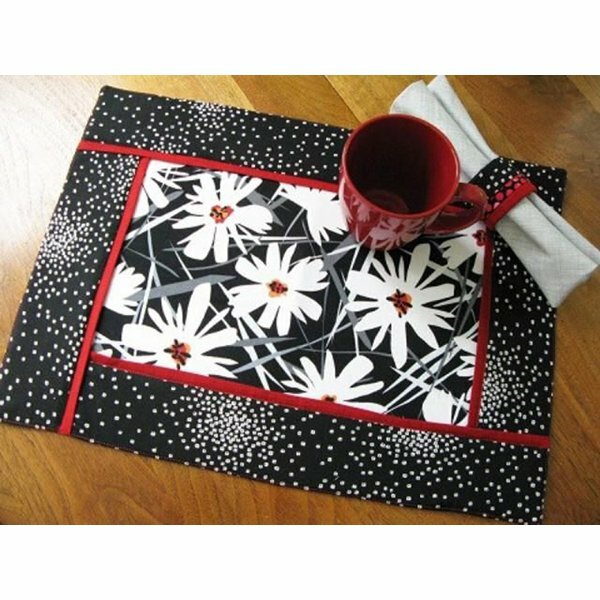 These reversible mats are also great for gift giving. In class Carolyn will explain her own techniques which streamline the making of these placemats even more. She will also discuss how this method may be applied to table runners and baby blankets.